Long lift queues, crowded pistes and over priced hotels are not conducive to a happy family ski holiday. However, due to specific timings of half term holidays, Christmas and Easter, it seems everyone and their dog packs up and heads for the hills, skis and snowboards in tow, en masse. If you want to fully utilise those wide, sweeping pistes the brochures always hark on about and ski straight onto the lift without so much as unclipping a binding, you need to head for the road less travelled, or to be more accurate, get off the beaten piste. Val d’Isere is only 12km away but you’d never know it. Sainte Foy lacks any real bars and clubs, meaning après ski is rather low-key. In fact, it’s not really a tourist resort, more of a place where locals enjoy a good ski down the mountain come weekends, but are too busy working during the week. This resort will appeal to young families and those looking for a good night’s sleep followed by an early morning search for powder. This resort is split in two in many ways. On piste it’s best suited to beginners, with four of its 15 pistes and two nursery areas dedicated to this level. Intermediates and expert skiers have eight and three pistes dedicated to them respectively, but it’s the off-piste options that will attract hard-core skiers and boarders. Known in skiing and boarding inner circles as a Narnia-style tree run heaven, experienced skiers will not be disappointed with the terrain. Access is fairly easy, but you’ll need to do some hiking if you want to play and repeat. The reason this resort is Sweden’s best kept secret is because it lies in the far north, inside the Arctic Circle and is the world’s most northerly ski resort. Due to extreme cold and long periods of darkness, Riksgränsen doesn’t open until February. However, this off-piste lover’s resort remains open until May when you can ski under the light from the midnight sun. This is a mid-sized resort suited to beginners and intermediates. However the off piste possibilities are spectacular, extensive and not for the fainthearted. There are 15 pistes half of which are for beginners, but additionally there are 14 marked off-piste trails and numerous backcountry options for you to track out yourself. Being a small, less frequented resort does have its downsides however. There are only six lifts, almost all are draglifts and seem to go on forever, particularly for snowboarders. One of the newest kids on the Canadian block is Kicking Horse, in British Colombia’s Rocky Mountains. The resort is just over a decade old but has already won over millions of ski and board aficionados. The resort is still growing, and over the coming years, developers have got approval to almost double the current skiable area and greatly increase the resort in size and scope. Kicking Horse boasts the fourth highest vertical drop in North America at 1,260 metres and one run, imaginatively called ‘It’s a 10’, is 10km long. 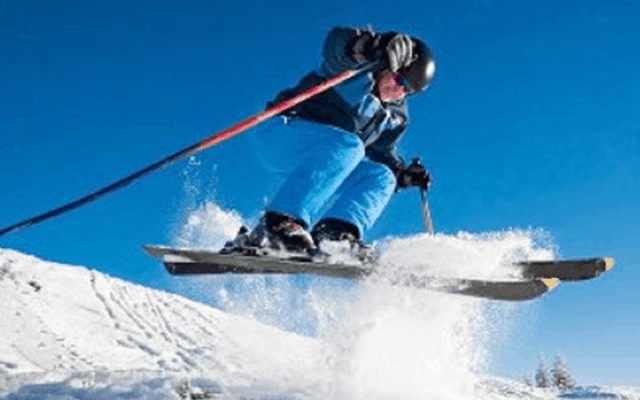 It’s a resort for the more experienced skier however, with 45 per cent of its 120 or so runs being for advanced skiers and 15 per cent achieving the black diamond status where only expert skiers and boarders need apply. The backcountry is vast, and with such easy access it’s one of the main draws to this resort. If you like nothing more than playing in huge bowls of knee-deep powder with nothing but birds for company, this is the resort for you.